Looking for a simple approach to blogging? Try Simplista. An elegant addition to the WordPress Themes Market. 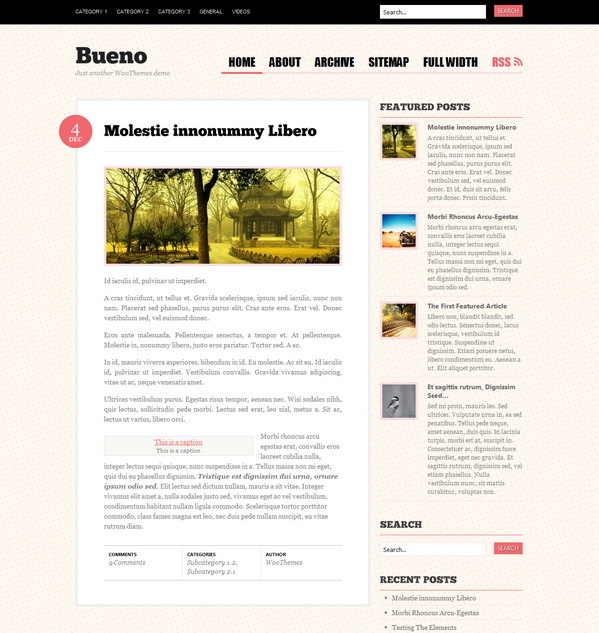 It offers clean and stylish design and is suitable for personal blogs as well as more complex websites. 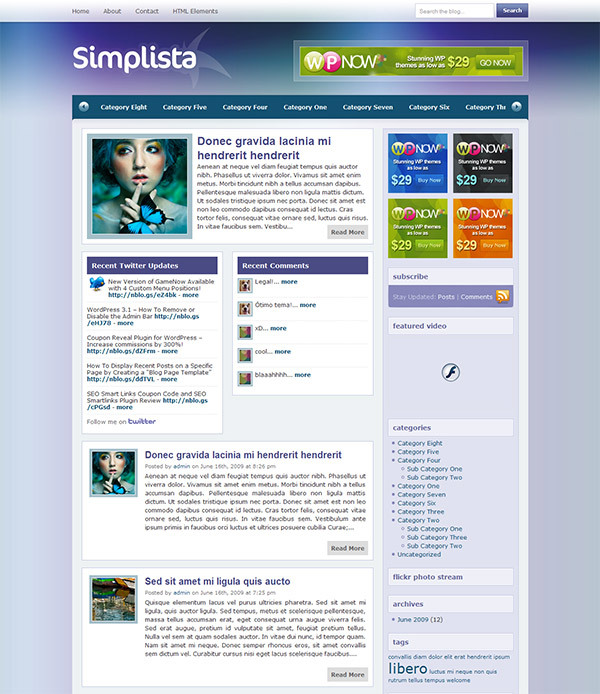 With the Simplista wordpress theme you get a theme that is WP 3.0 Ready and Supports 3.0’s Custom Menus, as well as an Intuitive Theme Options Panel, Easy-to-Use Built-In Ad Locations, 2-Column Layout, Unique Horizontal Scrolling Category Menu, Integrated Twitter Feed, Widget and Adsense Ready. You also get Menu & Submenu ‘Show’/’Don’t Show’ Customization, Multi-Level Dropdown Menus, “No Sidebars” Template, “Links & Bookmark” Template as well as a “Sitemap” Template.